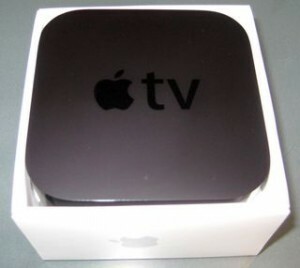 Earlier today I reviewed the Apple TV player in a head-to-head comparison with the Roku 2 XS in an article entitled “Roku 2 vs. Apple TV: How To Chose The Right $99 Streamer“. To go with the review, I am giving away one Apple TV to a lucky reader of my blog. To enter the drawing, all you have to do is leave one comment on this post and make sure you submit the comment with a valid email address. The drawing is open to anyone with a mailing address in the U.S. and the winner will be selected at random later this month. The drawing is now over. Congrats to Addison L. who won the item. I’m also giving away a Roku 2 XS unit and a Vizio Co-Star unit. You must enter each drawing separately. Good luck!